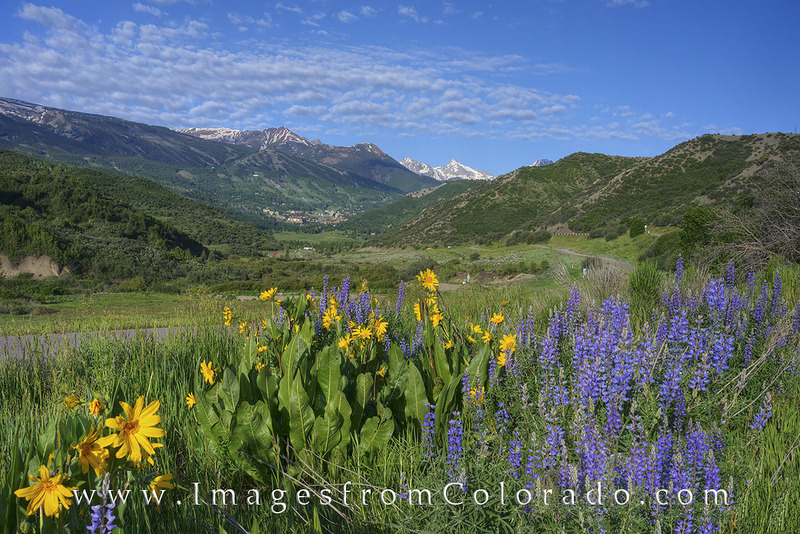 On the road to Snowmass Village, gold and purple Colorado wildflowers bloom in the late June morning. Taken near this popular ski resort, this landscape photograph shows off just a small portion of the variety of flowers that bloom in this area. Photo © copyright by Rob Greebon.